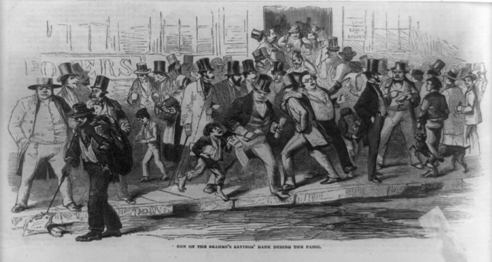 The Panic of 1857 occurred after a loss of confidence in an Ohio bank and subsequently spread as railroads failed. 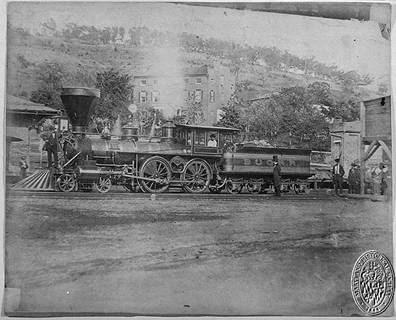 Railroad speculation was high and the crisis made the people pay for their unwise and greed-driven decisions. 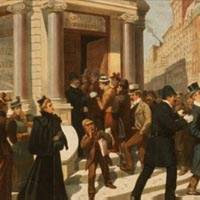 On August 24, 1857, the New York branch of the Ohio Life Insurance and Trust Company failed due to the massive embezzlement spreading panic as the confidence in banks was slowly disappearing. Soon nationwide banks began to collapse and a severe economic depression in the United States started. Many people lost their jobs and massive protests followed. Adding to the troubles of the banks, the sailing ship full of gold was lost in the hurricane and sank to the bottom of the ocean. 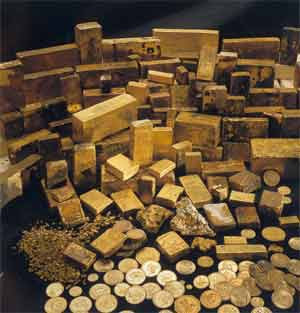 With their failed investments in railroad and land, it was impossible for the banks to gather all the gold their customers demanded. 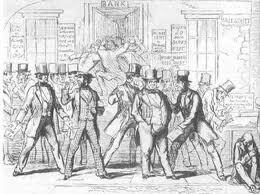 Read more about the Panic of 1857 here.